Plainview N.Y.; November 28, 2016 – ELMO USA Corp., a global leader in education technology, adds the NEW MX-1 Visual Presenter to their lineup. Through 95 years of expertise ELMO has developed the world’s first true 4K document camera. The MX-1 is equipped with SuperSpeed USB 3.0 which allows for full HD video at up to 60 fps; experience movement with no delay under the camera. For more output options, pair your MX-1 with the optional Connect Box. The Connect Box adds connectivity options for HDMI and RGB based displays. True 4K – The MX-1 is the first true 4K document camera on the market. Along with a specially crafted lens, the MX-1 will give you top quality 4K image at up to 30 fps. USB Super Speed 3.0 – In order to simplify the camera, the MX-1 is powered via Super Speed USB 3.0. The Super Speed USB 3.0 port allows for viewing of full HD video at up to 60 fps or true 4K video at up to 30 fps. Experience real time video with no delay of objects under the camera. Thinnest in the World – At only .7 inches thick, the MX-1 Visual Presenter is the thinnest visual presenter in the world. Weighing in at only 1.04 lbs. the MX-1 is completely portable and easy to transport. Take it with you and present anywhere. 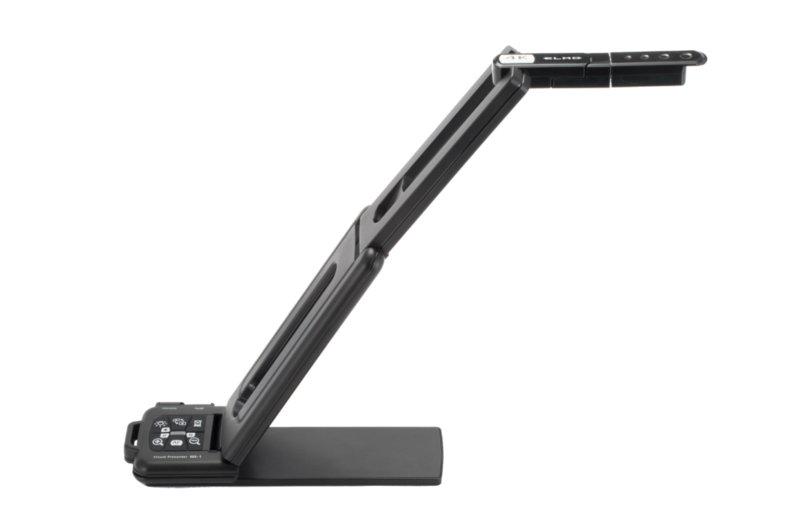 Flexible – The MX-1 is designed to twist, bend and fold in every which way, making the MX-1 the most flexible document camera in the ELMO line up. The MX-1 can fold up smaller than an envelope for easy transportation. Connect Box – Pair your MX-1 with the ELMO Connect Box. The Connect Box gives you an HDMI and RGB output for more versatility with your camera. For more information on the MX-1 Visual Presenter please visit the links below, or feel free to follow us on Twitter and/or Facebook for any additional updates.